There’s no shortage of inexpensive accessories out there, and one great source for them is Amazon. You can get cases and accessories for your phone for a one dollar or even one penny, but at even that low price are they even worth it? 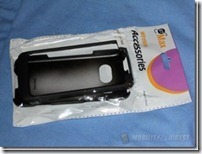 I recently got the HTC Surround WP7 phone and I needed a case quickly and cheaply so I headed over to Amazon and found two, one of which I have for review today. 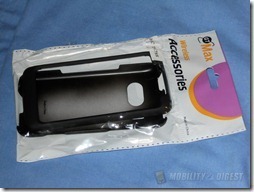 It’s the GTMax brand, one that I never heard of, but I needed a case and $2 was an attractive price for it. I could have gotten a more expensive case yes, but I wanted to see if being cheap or frugal was worth it. So you could call this sort of an experiment as it were. Copyright © 2007 - 2014 Kristofer Brozio. All Rights Reserved. Gridiculous Pro created by c.bavota.